Despite the band's recent shenangians—specifically not showing up for a show—the Internet has been showing Death Grips some love lately—specifically '90s-themed love. Last week there was Duck Grips, a musical combination of Death Grips and the DuckTales video game theme song. 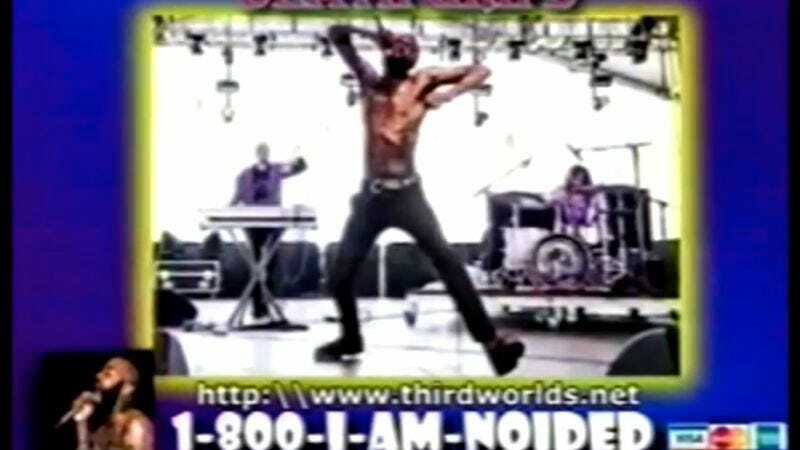 Now someone has created an old-school infomercial for Death Grips' greatest hits. For Noided Eyes Only is a "compilation featuring the very best." The static-riddled infomercial is teeming with what used to be advertising staples but are now considered somewhat nostalgic or silly. There's a cheesy announcer, a scrolling list of hits, and a 1-800 number ready for you to "Call Now!" All for only $12.95 (plus S&H, of course). All major credit cards accepted.